Our room decoration proposal is the fusion of tradition and contemporary. We will hold our biannual “Wedding Fair” at Saami (ryoutei restaurant) on August 5th. 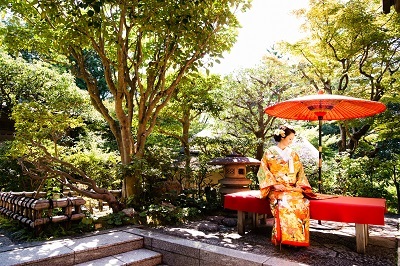 Saami is very popular place to have wedding reception or meals after the wedding ceremony at nearby temples and shrines include the World Heritage Site Nijo Castle. 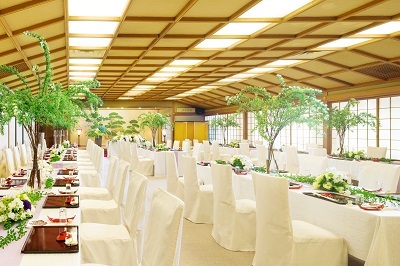 You can experience the wedding reception at the traditional ryoutei restaurant in real Kyoto-like atmosphere. For the details, please contact LST Wedding at 075-351-6611 (or 81-75-351-6611 from overseas). Please check out our “clients’ report” which we update frequently.